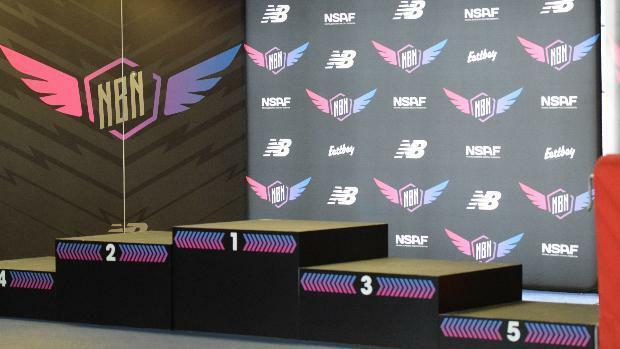 The biggest and most hyped indoor meet of the United States is finally here: The New Balance Nationals Indoor. The supersonic meet draws athletes from all over the country and Canada every mid-March. The world famous Armory can be intimidating if you are not ready! The Illinois contigent is small in comparison to the eastcoast schools but they are a strong force. The one termed "Baby Holyfield" has picked up right where he left off last year. 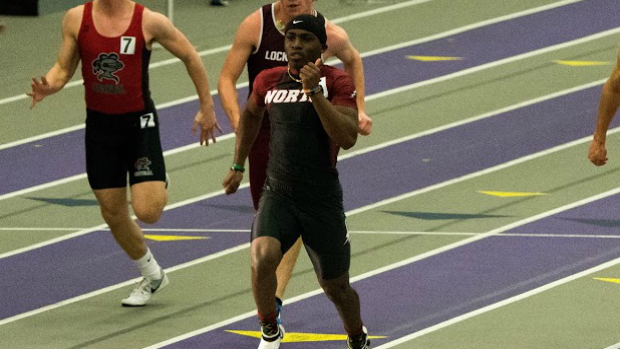 The no-nonsense speedster has dropped his indoor PR's from a 6.86 to a 6.83 in the 60m and from a 21.95 to a 21.30 in the 200m. 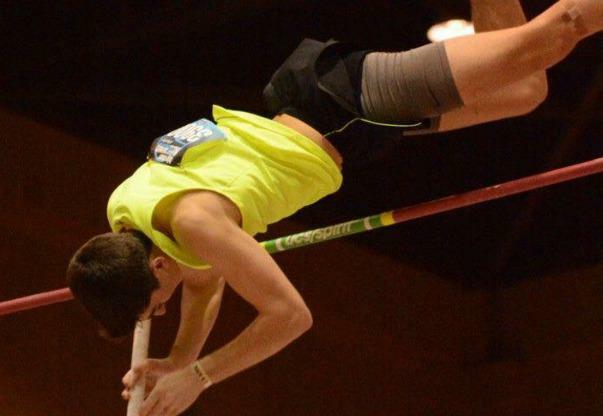 The 3x All-Stater, will want redemption from last year at New Balance Indoor Nationals. 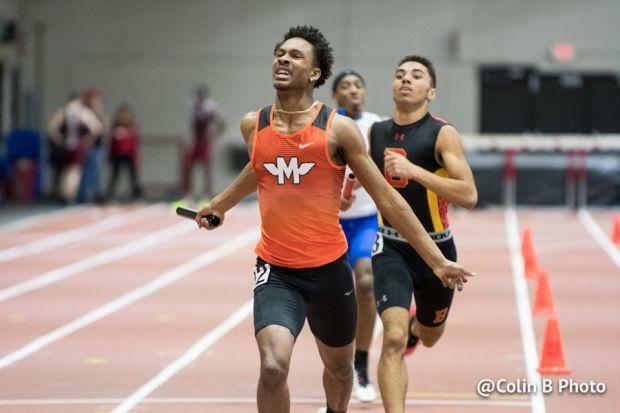 Moore was the first Illinois runner in history to be an All-American in the 60m but, Moore was a bit too excited in the Emerging Elite 200m final and was disqualified for a lane violation. 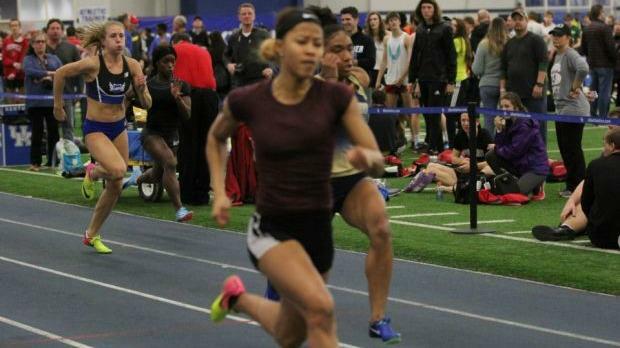 Moore is the current IL#1/US#10 in the 60m and IL#1/US#5 in the 200m. Moore stayed in shape by playing football for Plainfield North and participating in club track prior to the official high school season. Moore was a kick returner, wide receiver, and cornerback on the varsity team. Look for Moore to become a double All-American this weekend. Moore is a great athlete and is in store for great things. The University of Minnesota commit is going to battle to get that All-American status that she desires. Young has been having a great season in the 60m. She has dropped her PR from a 7.70 to a 7.60 but, she will need to be even better if she wants to be a top performer at Nationals. The 2x 100m 3A State Champion is the current IL#4/US#31 in the 60m and IL#3/US#40 in the 200m. 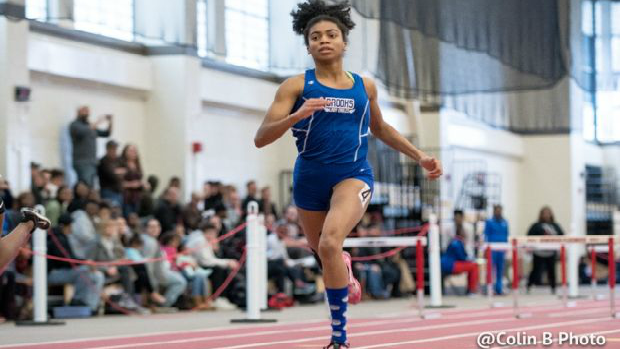 Young has been very fiesty this indoor season, it is an ingredient that coaches believe puts athletes over the top in great meets. The defending 400m 3A State Champion "Cinnamon" is looking like she is ready to tear up the nation this Saturday in New York. 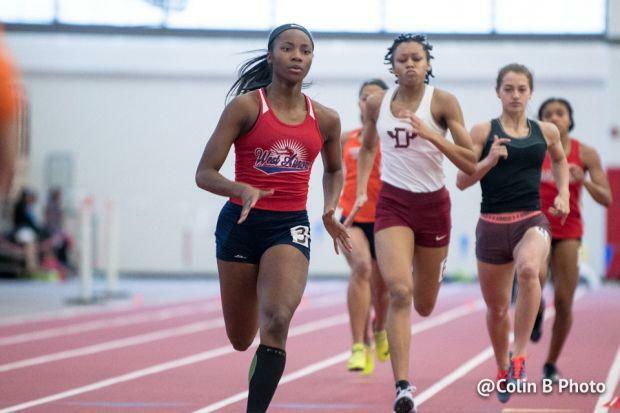 The current IL#2/US#31 in the 200m and IL#1/US#5 in the 400m, will be racing her childhood friend, Arria Minor in the 400m this Saturday. Minor is the current US#2 in the 400m. With a friendly rivalry that good, you know that Miles wants to walk away from that race with the win, beating her childhood friend. Miles has a legitament shot to bring that 400m National Title home with her but, she will need to get through her childhood friend first. Adams is coming into Nationals on a roll this year. The 3x All-Stater may only have the US#47 time of a 49.20, but he hasn't lost a race since the UK High School Invite. Adams split a 48.3 in the 4x400m this past Monday at the DGS Mustang Relays meet to lead his team to a IL#1 time. Yes, splits are always faster but even a 48.5 would put Adams at a US#22 time. Adams may be the biggest dark horse in the 400m this year. It will be interesting to see if he has what it takes to be an All-American. The current face of Illinois girls distance running was part of the late entry list into the Mile. It raised some eyebrows when people didn't see her name on the original heat sheets, but when news broke on Monday that Hart would be competing, people knew she would be a threat. The 2x All-American is the current IL#1 in the 800, Mile, and 2Mile. 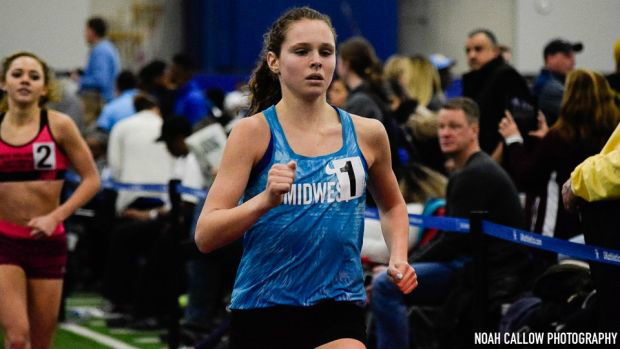 Hart is the current US#5 in the mile and could possibly even push last year's New Balance Outdoor Nationals Mile Champion and NXN Champion, Katelyn Tuohy, to be a National Champion in the Mile this year. Mendez is wanting a huge meet this Saturday in New York. Mendez is coming off a what he calls bad performance at the Mustang Relays on Monday where he ran a 2:00 split in the 4x800m and a 52 split in the 4x400m. 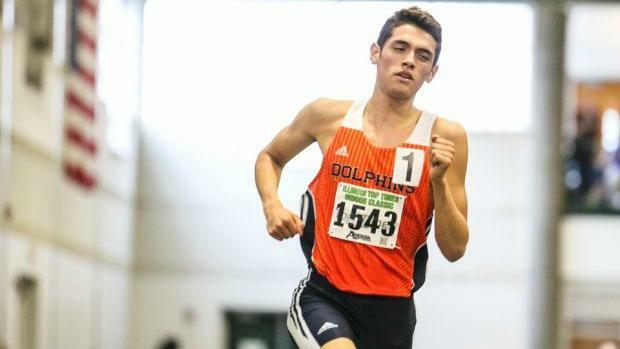 Mendez said that he wants his IL#1 spot back from Zach Kinne is the 3200m, but he will have to wait. The 3x All-American will be running the 2Mile this Saturday not the 3200m. He will have a dificult time trying to repeat as an All-American in the 2Mile. Mendez is racing in the slower heat of the 2Mile. Mendez will have to hope that his section is fast and that he wins it if he wants to be an All-American in the 2Mile again. 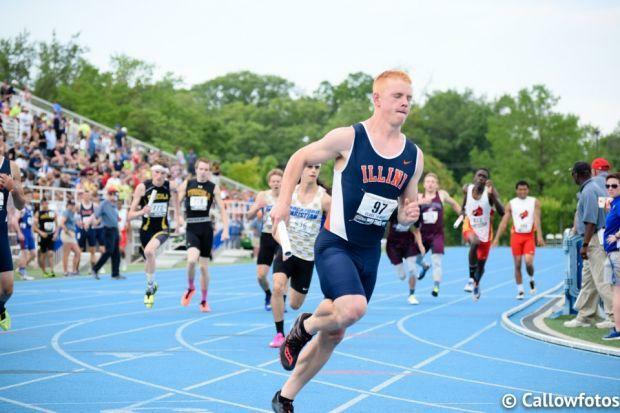 Carothers could arguably be the single most successful Track & Field athlete in Illinois history. She is a 15x Conference Champion, 4x Sectional Champion, 12x State Qualifier, 9x All-Stater, 6x State Champion, and a 4x All-American. Carothers is the current IL#1/US#20 in the 60H, IL#2/US#4 in Long Jump, and IL#2/US#22 in Triple Jump. Carothers should have an easy time being an All-American in Long Jump, but Carothers is a huge dark horse in the 60H and Triple Jump. If Carothers has a great day she could walk away a 7x All-American. Bradford has been amazing all year long. The 2x 3A State Champion, is coming off a weekend in which he won the Pole Vault at two meets on the same day. 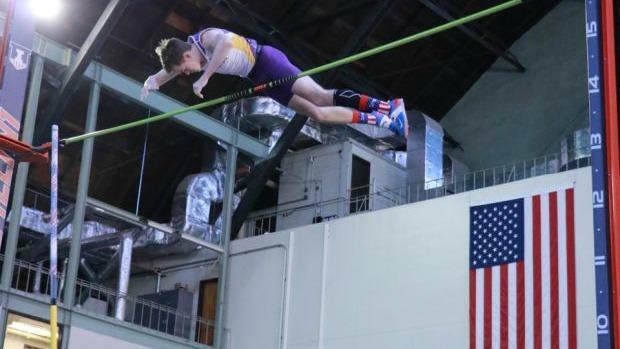 Bradford vaulted a 17-4 at the Charger Invite then hopped on a mini bus and drove up to Rolling Meadows for the Windy City Pole Vault Summit where he vaulted a 16-6. Bradford is the current IL#1/US#3 in Pole Vault. His worst meet this year he vaulted 16-6. Essentially being dismissed by most of the respected media despite having great credentials and beating the highly regarded KC Lightfoot of Kansas at the Reno Pole Vault Summit in January. The motivation and goal is 18-feet this week. Nothing else matters. Pompe has had a breakout year so far in 2018 for Pole Vault. The returning 2A All-Stater has improved his PR from a 14-6 to a 15-3. That is amazing being a All-Stater and still PR'ing by 9 inches. Pompe is the current IL#3. Pompe will be a long shot to be an All-American this year. He just met the qualifications to be at this meet. Pompe should enjoy the experience and soak up as much knowledge he can. The 2x All-Stater, is having an ok season so far for 2018. She vaulted a 11-6 at the Windy City Pole Vault Summit. It was her first time vaulting all year. 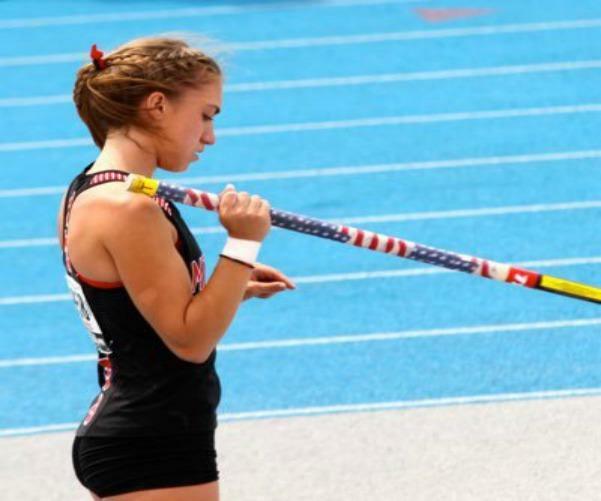 Seaver is the current IL#6/US#137 in Pole Vault. Just like Josie Held, Seaver is another long shot at the All-American Status. The defending 1A Long Jump State Champion, has been on fire this season. His lowest jump this year has been a 23-2 and his lowest place was 2nd place at the UK High School Invite. Artman is the current IL#1/US#5 in Long Jump. Artman is only doing Long Jump and wont have 3 other events to worry about. Artman should be a lock to be an All-American in Long Jump. Lawson is entering only his 2nd year of Track & Field and he has already jumped a IL#3/US#42 in Long Jump. His PR this year is a 22-10.50. The monster jumper from Plainfield Central, didn't do Track his freshman year but, decided to join his sophomore year. Lawson could have been an All-Stater last year but, he had a bad showing at sectionals that saw him jump a 19-10.50 and take 15th place. Lawson may just what to gain the experience of jumping at Nationals and come back next year and get that All-American status. This is Chandler's first year throwing the weight and she has already qualified for Nationals. The 4x State qualifier, has already been a great thrower in shot put and discus but, she might be at her best in the weight throw. Hayden is probably too inexperienced to be an All-American this year. She is the current IL#1/US#69 in the weight throw. Sullivan has had a breakout year. The 2x Conference Champion has dropped her PR in the 800m from a 2:20.10 to a 2:15.69. She has made herself a great resume to be considered an Emerging Elite this year. If Sullivan can continue on the path she is on now, she may be a contender to win a state title and be in the Championship heat of New Balance Outdoor Nationals. Johnson has been a nice surprise for the Raiders of Bolingbrook who already had one stud in the hurdles in Kayla Walters. Johnson has only qualified once for state in the 110H and she is now part of the Emerging Elites. She has dropped her PR from a 8.47 to a 8.15 in the 60H this year. Johnson is worthy of being a Emerging Elite and may be a state contender this year. The runner-up in the 110H at the State Championship last year is on fire this year. Walter is the current IL#2/US#54 in the 60H. The junior is destined for some great things for this upcoming outdoor season. She was already a great hurdler but she has gotten even better and now has the recognition of being an Emerging Elite. Coming into High School Rhiannon had some eyes looking at her because of who her sister is. Rhiannon's sister is University of Illinois commit and 3x All-Stater, Josie Held. Rhiannon has surprisingly out vaulted her accomplished sister this year she is the current US#7 in Pole Vault for freshman with a PR of 11-7. The freshman should learn a lot from being a Emerging Elite at Nationals this year. Roberson has been great for Glenbrook South this year. She has improved her PR from a 17-11 to a 18-7 in Long Jump. The 2x State Qualifier, is an emerging contender to be a State Champion in Long Jump. Roberson is the current IL#6 in Long Jump. Roberson is very deserving of being a Emerging Elite. Frankenreider is finally getting the recognition that he has deserved for a while. The 3x All-Stater was great last season and continues to be great at the start of this season. Frankenreider is currently the IL#7 in Triple Jump. He is the only Illinois boy in the Emerging Elites section of Nationals and may be able to do some great things.